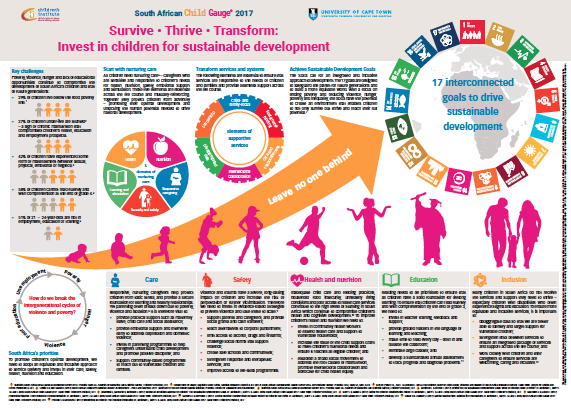 The 2017 issue of the South African Child Gauge focused attention on what children need to not only survive, but thrive and reach their full potential. 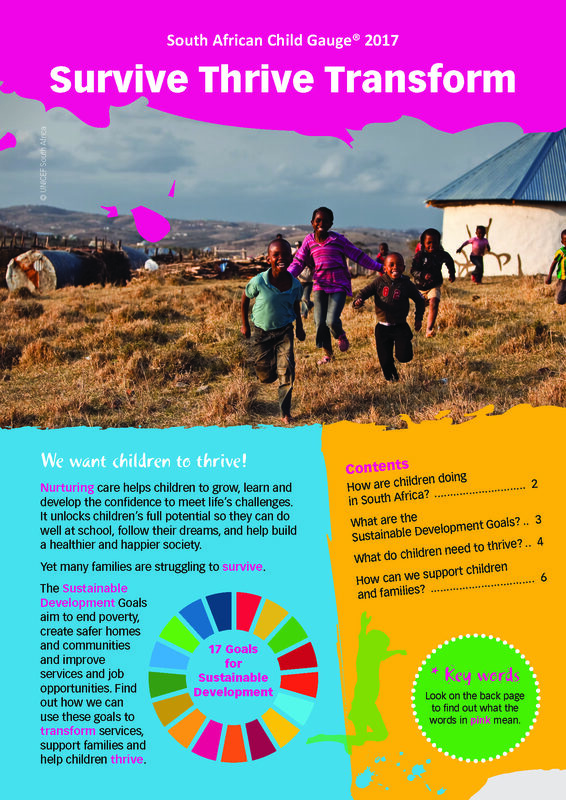 While the Child Gauge is targeted at academics, students and decision-makers in government and civil society, we also wanted to share these ideas with children. So in 2018, we worked together with young reporters from RX Radio at the Red Cross Children’s Hospital to develop a child-friendly summary and short animation. 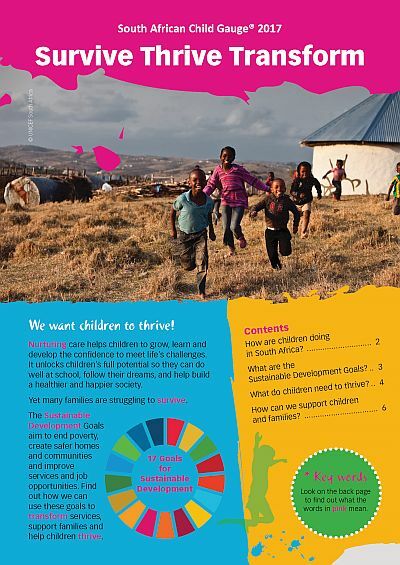 We hope you will share these resources with other young people in order to stimulate a broader conversation about nurturing care and the Sustainable Development Goals. 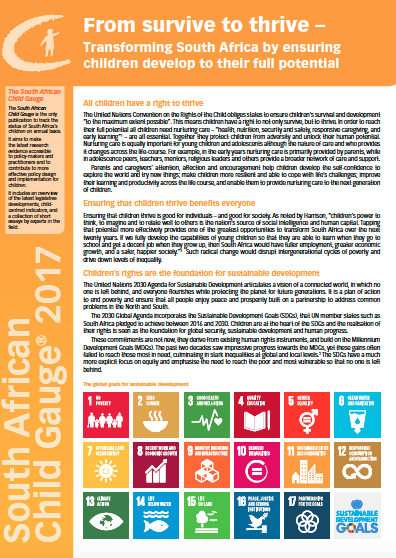 Download the child-friendly summary of the 2017 South African Child Gauge. Watch and share the animation.